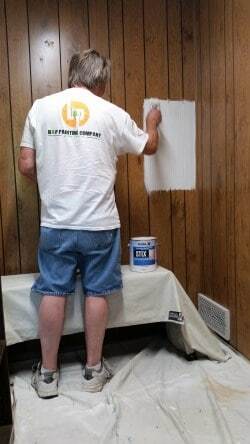 We often get calls asking if you can paint over older wood paneling and kitchen cabinets. 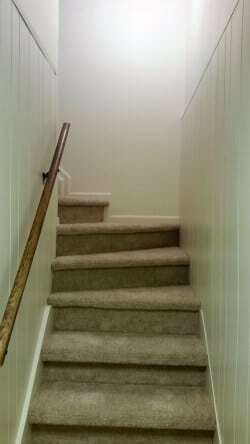 A lot of homeowner’s do not like the dark color or the look of stained wood. 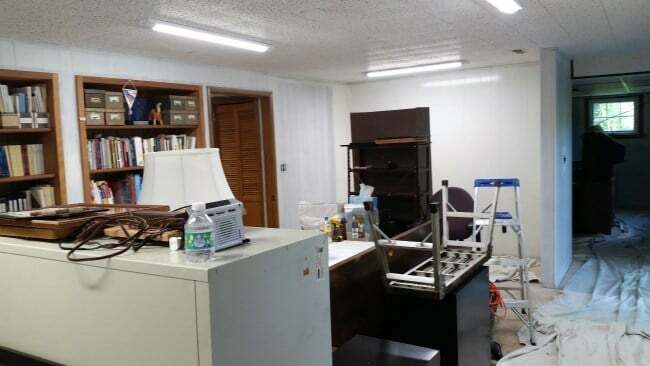 Most often it is to ‘brighten” a room and/or create a new, fresher look. 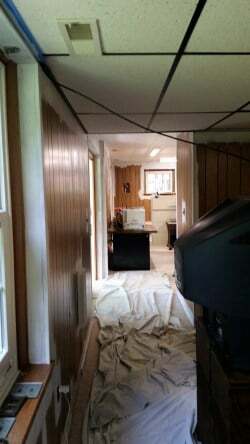 Also many people do not want the expense or hassle of tearing out paneling and replacing with drywall, or replacing the kitchen cabinets. The short answer is yes. The most important factor is the adhesion of the new paint to the existing surface. Correct surface preparation is critical for future maintenance and longevity of the painted finish.. 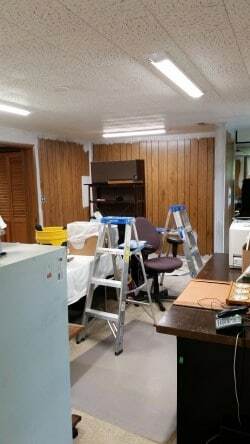 Always do a test area to ensure proper coating adhesion. 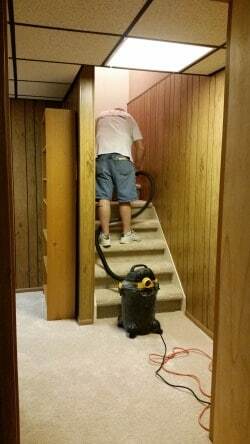 Glossy paneling and cabinet surfaces must be lightly scuff sanded and deglossed prior to prime coating. Many available liquid solvent deglosser are available and many also clean the surface simultaneously. All surfaces must be completely prime coated prior to any finish painting. 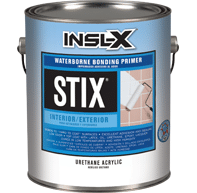 We use and recommend INSL-X STIX waterborne bonding primer, an outstanding choice for this type of project (available locally at the Anderson Paint Company). This allows a ‘bridge’ coat for the finish topcoat(s) to adhere to correctly. 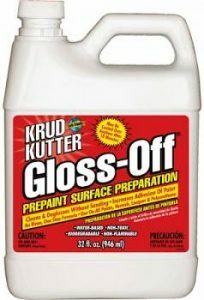 With paneling, caulk seams and voids as required after priming .Also patch dents or scratches as indicated with a high quality wood filler. 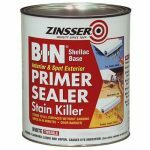 If any staining presents through the prime coat apply a shellac solvent stain blocking primer to seal in the stain. Application of multiple finish coats of a high quality acrylic latex flat or eggshell enamel finish paint is a perfect choice for paneling. Kitchen cabinets are typically coated in a satin, semi-gloss or true gloss finish as desired. 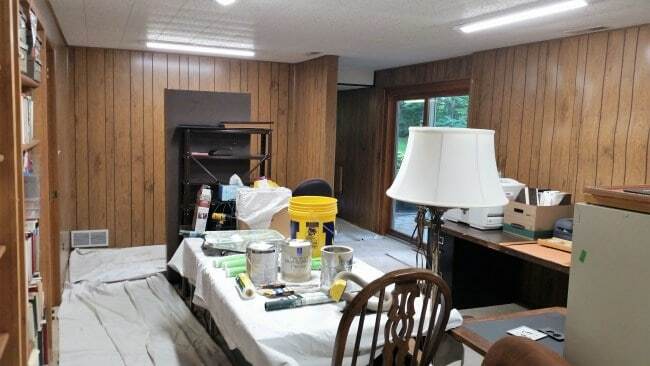 The Ann Arbor basement pictured here was completely primed and three coats of a bright white eggshell enamel finish paint was applied. 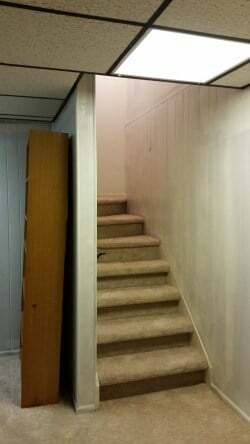 Pictures do not really show how big a transformation painting this basement paneling achieved. 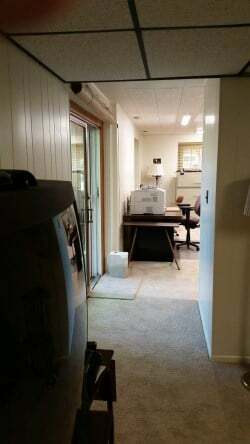 A nice, clean bright and modern look for way less expense. The properly completed painted surface is durable, washable and will last for years.